Washington and Tehran have been trading accusations ever since Donald Trump assumed office. The US accuses Iran of state-sponsored terrorism, while the latter has used the same words to describe the US military presence in the Middle East. MOSCOW (Sputnik) - The eighth Moscow Conference on International Security (MCIS) will start its three-run day run on Tuesday under the aegis of the Russian Defence Ministry at the Radisson Collection Hotel in the Russian capital. On 6 March, Israeli Prime Minister Benjamin Netanyahu called on the world community to stop Iran from shipping oil abroad. He also threatened to deploy the Israeli Navy to help tackle suspected Iranian efforts to smuggle out oil via maritime routes to skirt US sanctions. BEIJING (Sputnik) - Beijing is ready to actively develop cooperation between the armed forces of China and Iran, Chinese Defense Minister Wei Fenghe said on Saturday at a meeting with his Iranian counterpart Amir Hatami. Tensions between Iran and the United States spiked after Washington pulled out of the Iran nuclear deal and vowed to bring Iranian oil experts down "to zero" through sanctions, with Tehran responding that any threats to its oil exports could lead to the closure of the Strait of Hormuz, the world's most important oil artery. 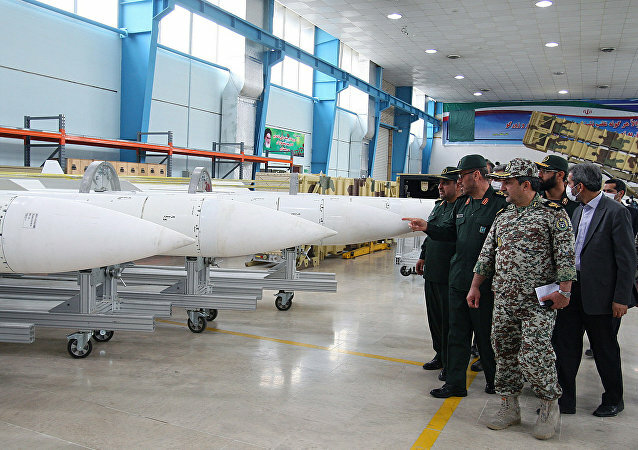 Iran, fully aware of the extent of its “the enemies’ plots,” will continue to boost its defense capabilities, the country’s Defense Minister Amir Hatami has told MPs, Iranian media reported.